You strive to do business and marketing beyond the status quo. You move towards every opportunity to do business bigger and better. You’re willing to experiment and engage your imagination. Together we can turn imagination into a beautiful and tangible reality. 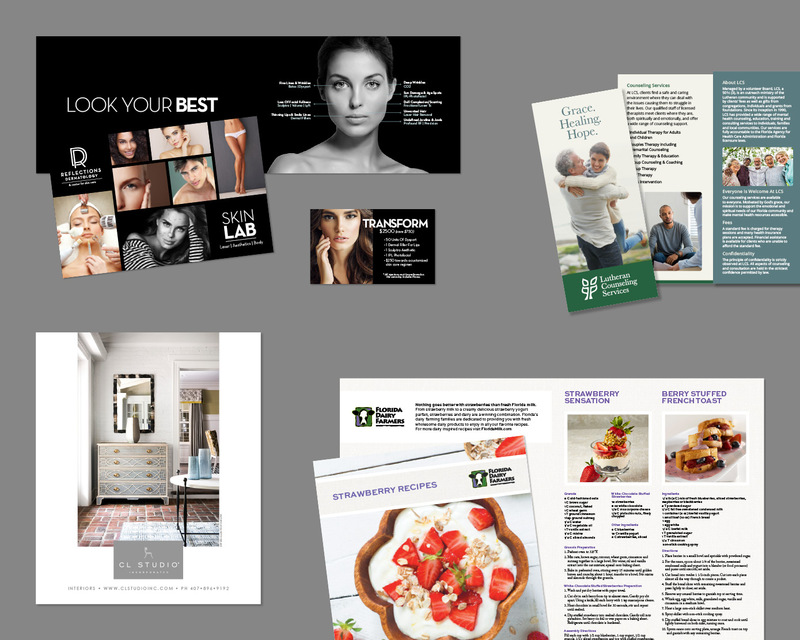 You need printed pieces for marketing and/0r communicating with your current clients. My print design services give you a cohesive look, making your brand look as good as the ideas behind it. If it can be printed, I can design it. Brochures, ads, business cards, billboards, magazines, business forms, letterhead, direct mail, pocket folders, flyers, banners, promotional items, posters. You need a new logo or a refresh on an existing logo. My logo design services give you a distinct look and feel that’s as polished and professional as your business. Together we’ll build the foundation for a brand identity that’s consistent across the board so your current and perspective clients will recognize it instantly. You need beautiful images to share on social media, your website and all over the internet. My digital design services bring your brand identity into the digital world. The cohesive and professional look you get with print translates perfectly to your posts. If it can be posted, I can design it. Facebook images, cover photos, Instagram posts, digital fliers, email headers, digital ads, website design and consultation. Sign up to stay updated with Retse Designs.